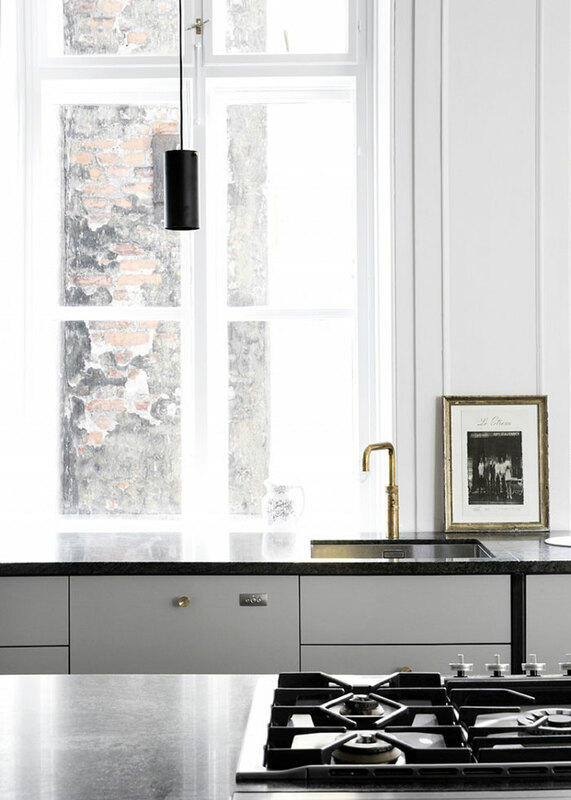 I am in awe with this kitchen by KBH Københavns Møbelsnedkeri… So stunning, right? 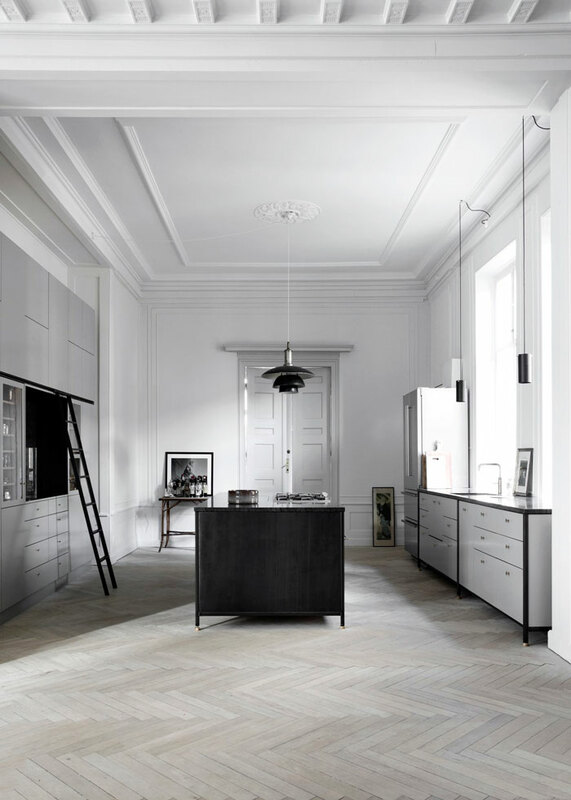 The contrast between the sleek, industrial-inspired cabinets and the old architectural features of the space makes my heart skip a beat. 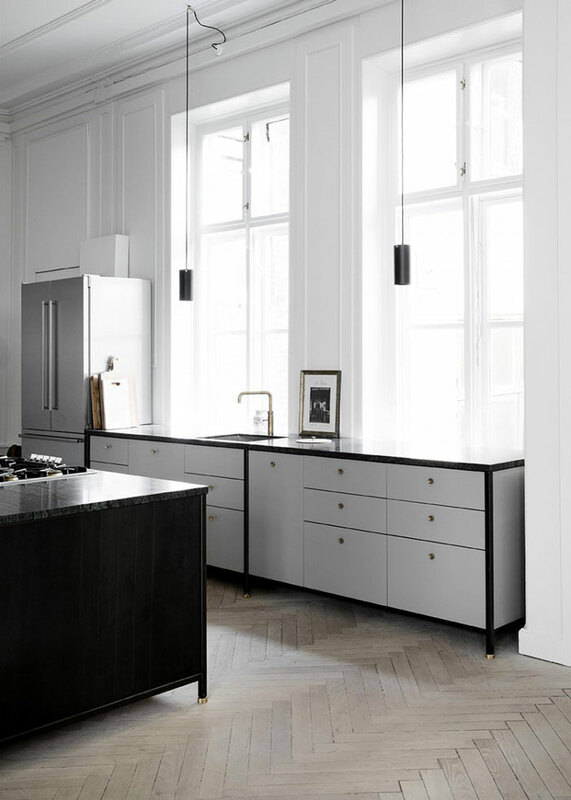 The palette of white, grey and black is classic and timeless, and it is in harmony with the light herringbone parquet floors. 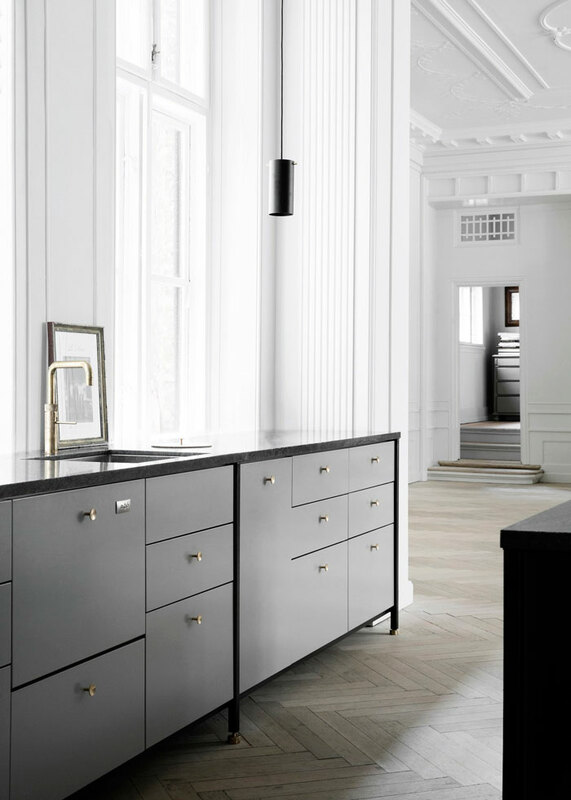 The brass elements such as the knobs and faucet add just the right amount of bling for a sophisticated look. 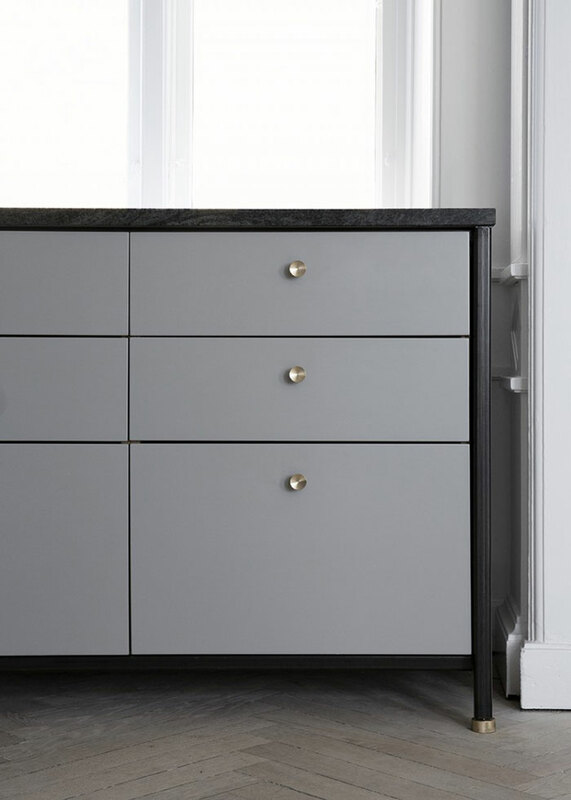 The Danish cabinet maker proved once again that with its refined, custom built and handmade furniture, it is an expert at balancing the tradition of well-crafted design with new, innovative projects. 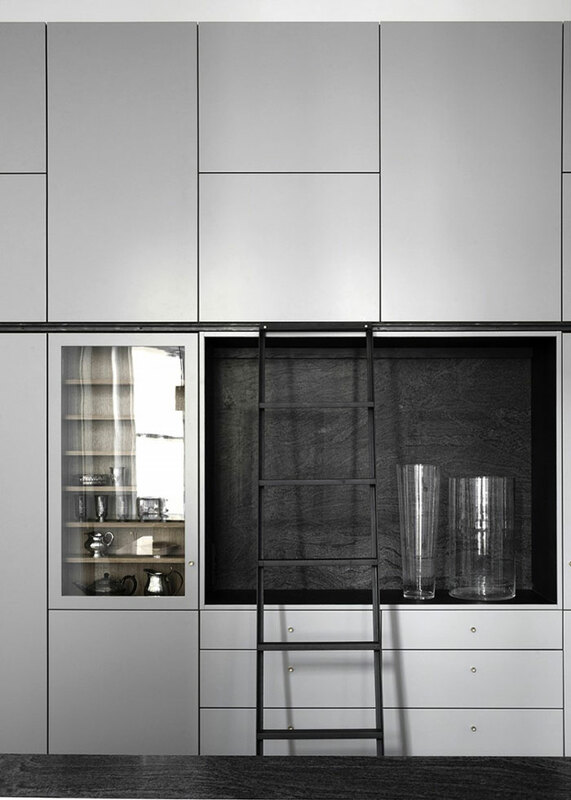 To see more kitchens I love, check out this Pinterest board.